It’s Mid July! 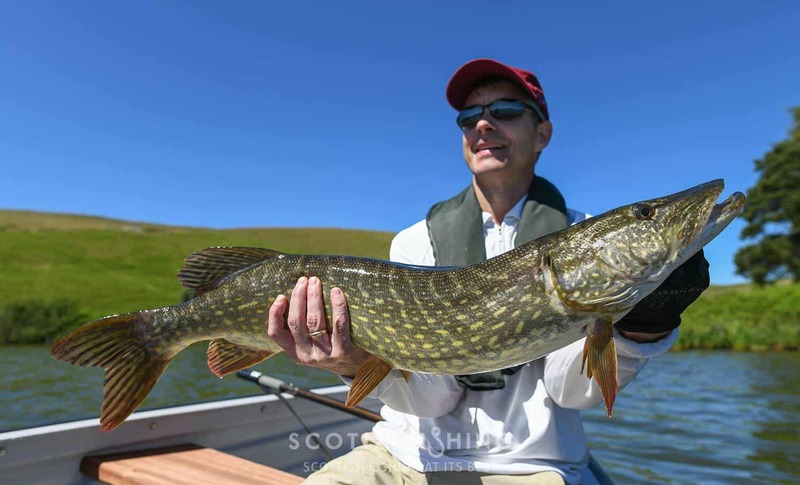 We’re half way through the fishing season in Scotland and I find myself with an office day… I must update our blog! Firstly apologies for the lack of content, we’ve been so busy! I hope our Instagram has kept you excited with all things fishy in Scotland! March started off well for us with a Salmon landed for my American guest! Luke with a Springer from the River Tummel! This one had been in the river a few weeks and was taken from a very fruitful lie for us this season. We had just lost one here the week before – same fish? Who knows! Despite the well documented poor spring run of Salmon, we’ve had our best season ever! 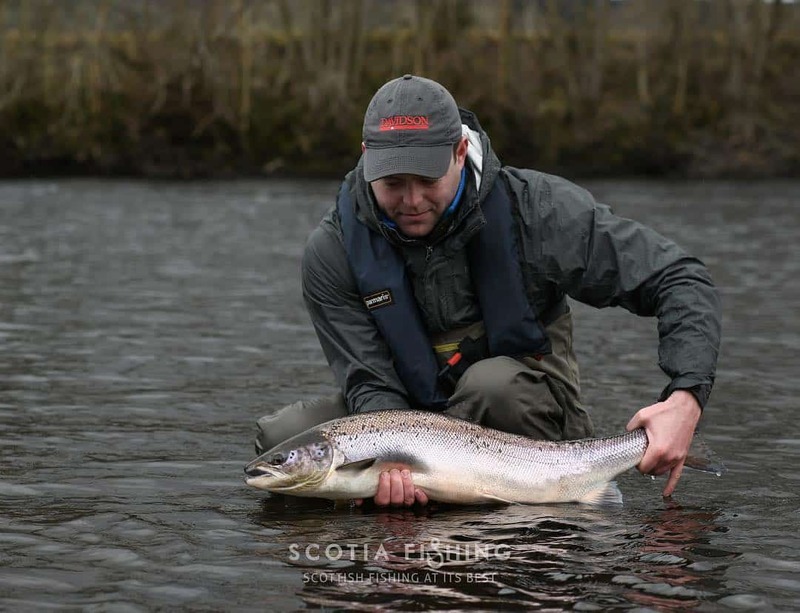 April into Mid May saw us land 11 Salmon for our guests and only lose two! The biggest of the bunch was this 16 1/2lb stunner for returning guest Brant (Lefty) Weil. Brant with our seasons largest Salmon so far! Regular readers of our blog may recognise Brant fished with me on the Tweed last October and also managed a Salmon on the fly! It is fair to say the Spring Trout fishing hasn’t been as productive as recent seasons. This was partly due to the cold start to spring. This followed a surge in temperature which saw a couple of weeks of great fishing before it fell away. We still managed some stunning Browns though! 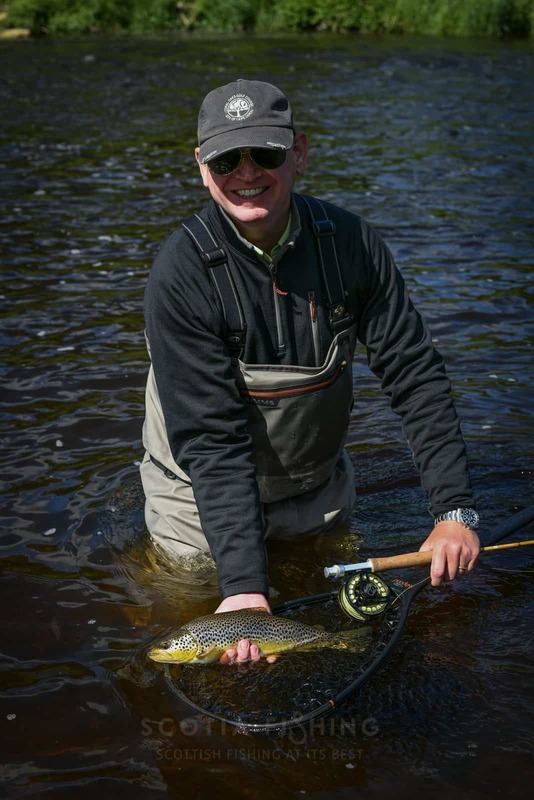 His first ever Brown Trout – bravo sir! 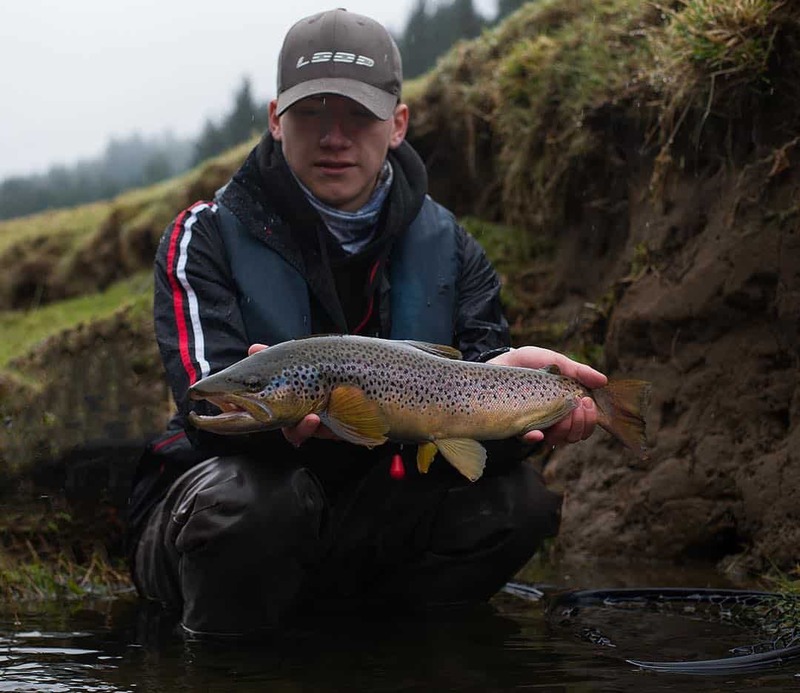 Here my English guest displays a pig of Brown Trout! This was caught nymphing in early April amidst a sleet shower! This Trout was landed 500+ yards downstream of where we hooked it! Yes, his first ever Brown Trout would you believe it! German guest Stefan made the most of a lift in water and topped off his Salmon from the Tay (after losing four in one day!) with this yellow bellied beauty! The Grayling fishing in early pre-spawn was great! We haven’t seen the numbers we would normally see, but the quality is excellent! 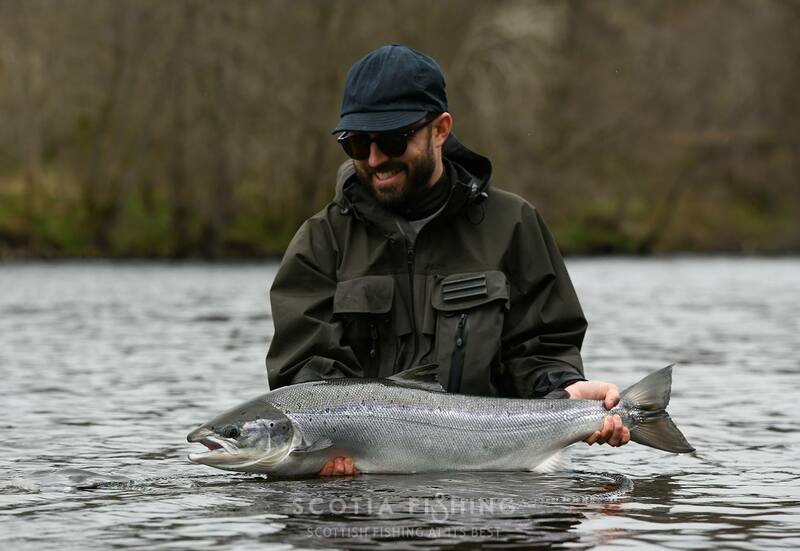 We managed some epic fish to 2lb 10oz for our guests and head guide Callum Conner managed a stunning 2lb 13oz Tweed Horse! Early season the guides get to fish! The Pike fishing through late winter and spring was ever consistent. We managed lots of Pike up to the 15lb mark but no sign of the big mammas! 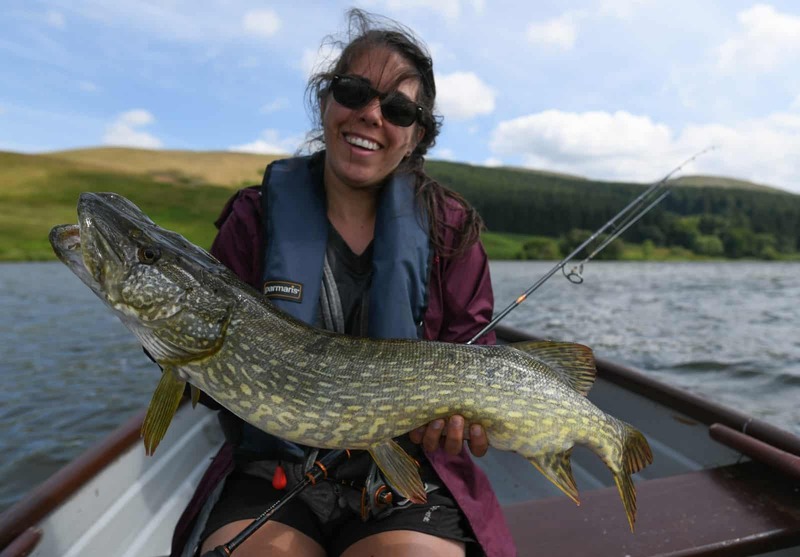 As the water warm up and the lack of rain continues, the Pike fishing will really come into its own. Here is a nice double caught last week for our American Guest Paul. What a fighter this one was! And another American guest Catherine with a nice one too. 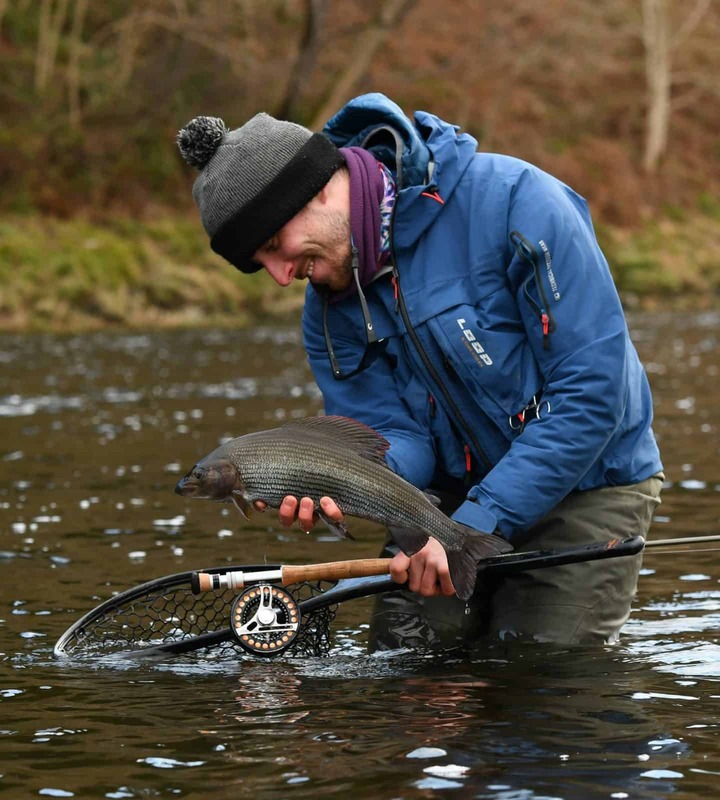 As we come into the warmest part of the year we are still experiencing low and warm water conditions on our rivers which makes fishing conditions a bit more challenging. Hopefully there is some rain soon to freshen things up. I have a good feeling about later summer and fall fishing this year!